February 9, 2018 — MILTON — Santa Rosa commissioners have passed a Land Development Code policy change that addresses cluster mailboxes. The policy requires the board to verify developers have coordinated with the U.S. Postal Service for subdivision developments submitted for board approval. According to the draft policy, new subdivisions with cluster boxes in the right of way must add a pull-over lane to accommodate the delivery truck and resident getting their mail. 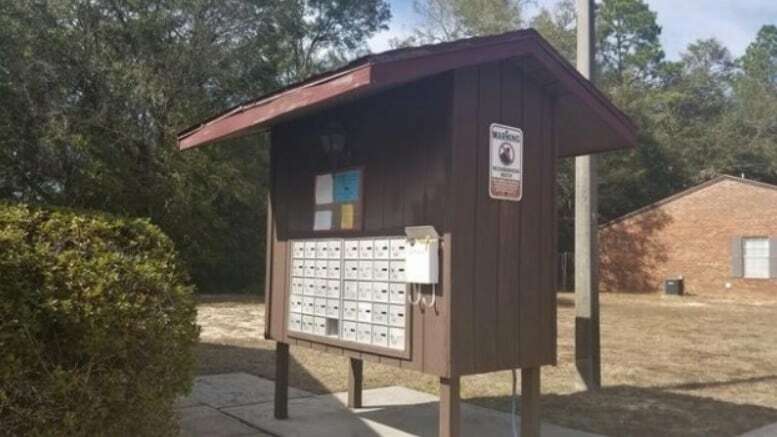 The mailboxes must be set on a concrete pad; if the cluster is not in the right of way, there should be a small parking lot and concrete pad for the mailboxes. For existing subdivisions, cluster boxes located in the right of way should be in a cul-de-sac, knuckle-sack or snake-belly if available, or, if there is room, at the retention pond parcel. What is a knuckle sack or snake belly?